Green Day songs are great for learning rhythm guitar, as they typically have a couple of power chords in a given strumming pattern, followed by a short lead section. 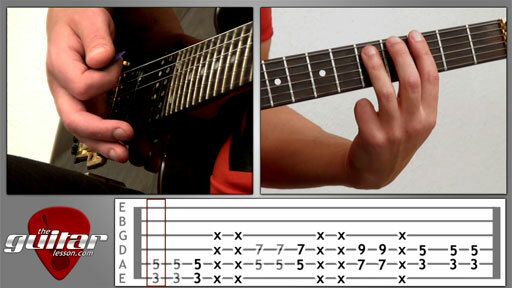 This is great for learning rock rhythm guitar! Our guitar lesson on When I Come Around will teach you how to play the entire song, including all the chords and rhythmic strumming patterns. Oh, and remember, I teach this song in standard tuning, but if you want to play along with the original song, you must tune all of your strings down by 1 semitone, but I talk more about this in the lesson. Sorry, but you've reached a premium content area. The download of the When I Come Around tablature file is only available to premium members. Sorry, the same goes for the backing track. To download the backing track to When I Come Around, please log in and revisit this page.